← MONDAY INSPIRATION: AND SUDDENLY IT’S EVENING. 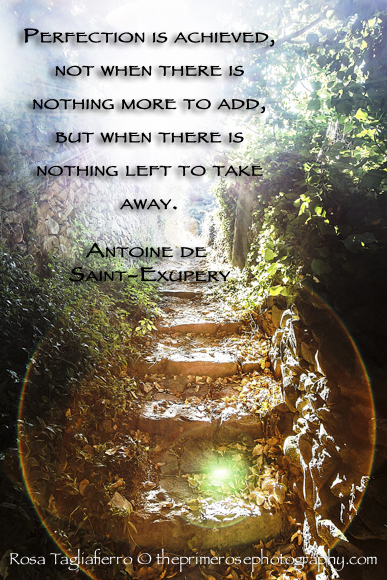 This entry was posted in Monday inspiration and tagged antoine de saint-exupery, Monday inspiration, perfection, quote, Rosa Tagliafierro, Saint-Exupery, theprimerose, theprimerose photography, theprimerosephotography.com, yoga, zen quote. Bookmark the permalink.